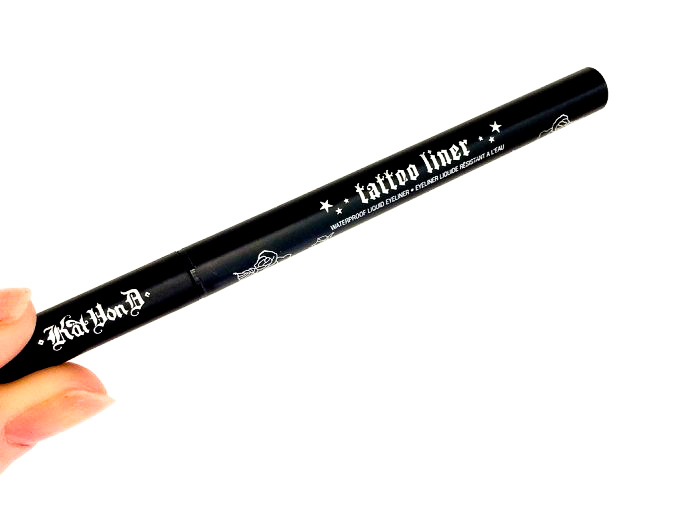 I hope you had a very Merry Christmas, surely I did, today I’m back with another post and it’s a review of the Kat Von D Tattoo Liner I know this product is super famous and there are plenty of reviews out there but I also wanted to give you my own. I want to take a different direction with this blog, in fact I’ve noticed that my most loved posts are my #MakeupMondays and my Reviews and those are also the ones I enjoy the most writing so I will post mainly those. But, I’m mostly broke and I don’t get PR so I will start reviewing products that I already own that are part of my collection while trying with the help of my sisters to get as much new stuff as possible. I hope you won’t mind that what I review is not new and you will still love to read my opinion on these cult products. If you have been following my blog for a while you know that this is one of my favourite eyeliner and that I use it all the time. I love the way winged liner looks on my eyes so I tent to do it a lot. But with that it comes the fact that I know a lot about liners as I’ve been using it for many many years. 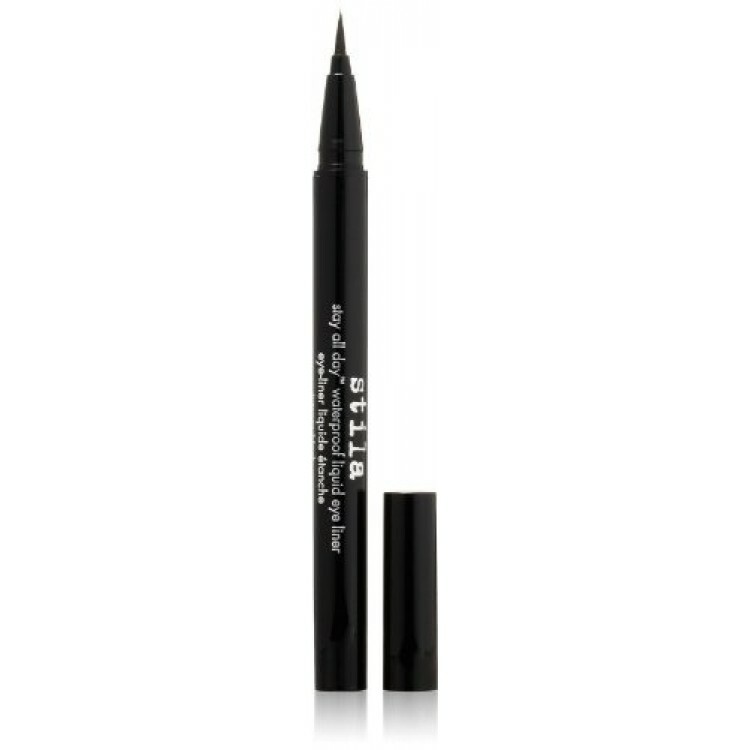 The Kat Von D Tattoo Liner is in a pen form but with a brush applicator which allows an easy application and precision. 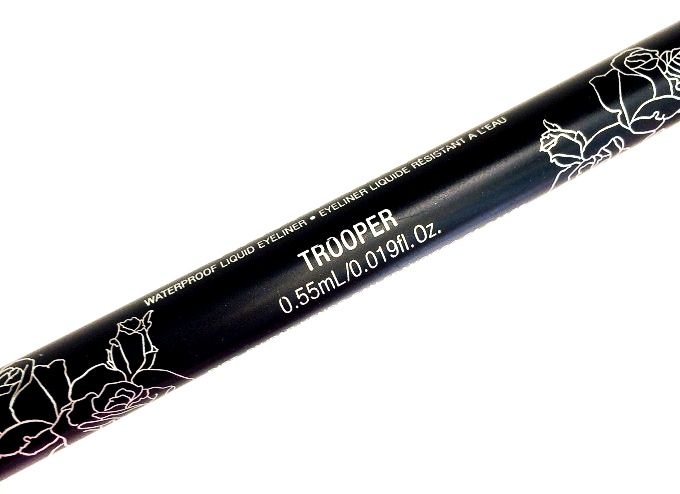 I have the shade Trooper which is the black one. But it also comes in brown. As you can see this eyeliner is really black and opaque although it’s not matt. 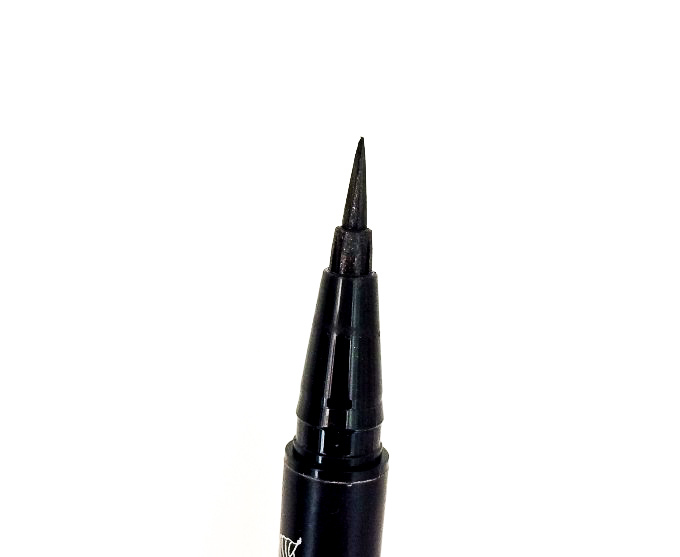 This eyeliner has a brush applicator, it’s quite different and unique as it looks like a felt tip but it’s actually made of thousands of tiny brushes really densely packed which makes the brush softer than a felt tip as it bends with a bit of pressure making painting the line really easy, like a normal brush. I find that easy to use, but I still prefer a felt tip applicator, since the fact that it bends so easily sometimes makes it imprecise. The bristles are super packed so you don’t notice that is not a felt tip until you look closer. As I said, I find pen liners really easy to use and this one is no ecception, even if you are a beginner. How long does it WEAR? On me, this eyeliner lasts all day with or without a primer (I have super oily eyelids) but when I use it on bare lids I have to go over the line a few times to make it more intense. How long does it take to DRY OUT? This is something that people don’t realise how important it is, you can buy the best eyeliner on the market but if it dries out in a month is not worth it. I got this one in April and it still works like the first day. Since I got it almost 8 months ago and it’s still going strong I think that’s fair to say that it’s totally worth it for me. 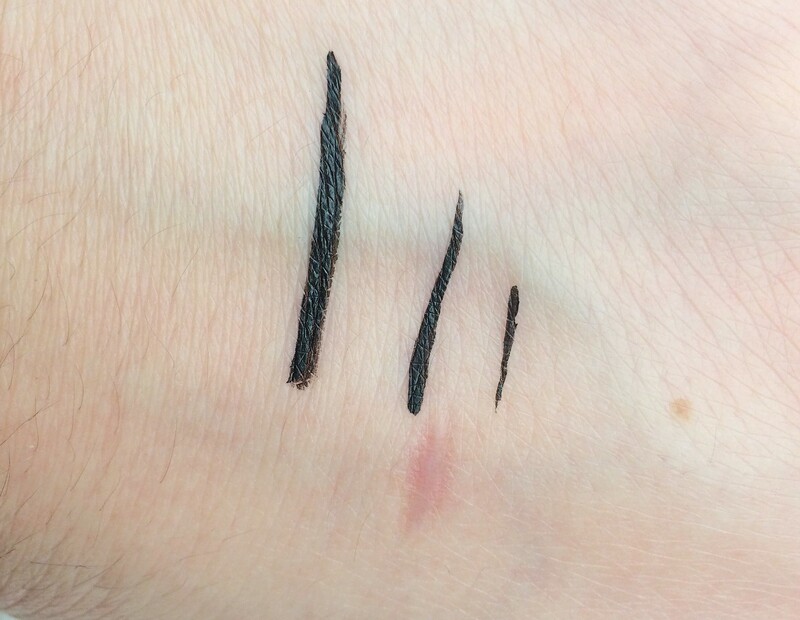 People often compare the Kat Von D Tattoo Liner with the Stila Stay All Day Liquid Liner, they have the same price but the Stila one has a felt tip applicator, other than that I think they are very similar but I think I prefer the Stila one. Here you can see how it looks on my eyes. I really like this eyeliner, it’s one of my everyday staples, although I can’t stop thinking about the Stila one, this is really good. It’s easy to use, very black and long lasting definitely something I would recommend even to a beginner. It’s easy to remove but it lasts all day. I love this Kat Von D Tatoo eyeliner too! It’s what I use on my eyes every day! Thanks for the detailed review. 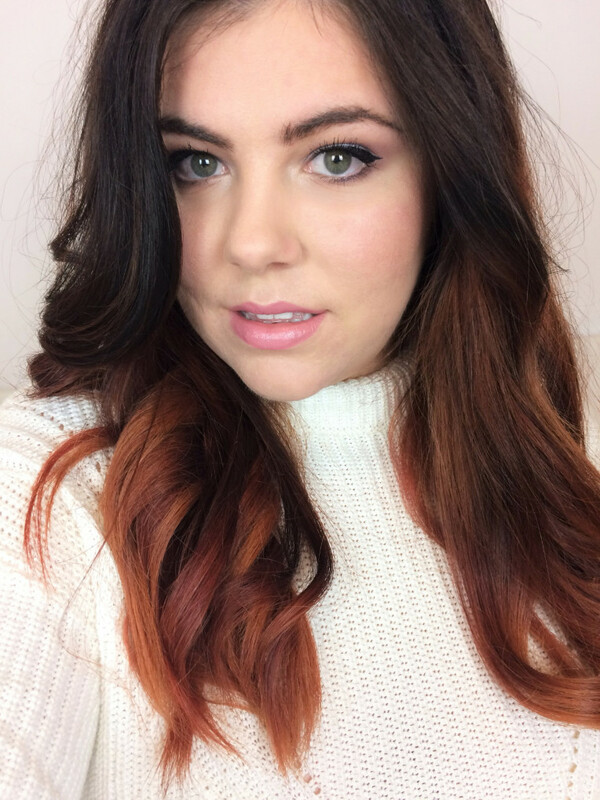 I am lost when it comes to knowing what to look for in a liner so this is extremely helpful! Great review. Very detailed and great information. Thank you! You definitely peaked my interest. I only wish I could put on liner as smooth as you, I always had issues lol. Exactly! That’s one of the best features, You won’t have to buy a new one all the time. I am OBSESSED with winged eyeliner. 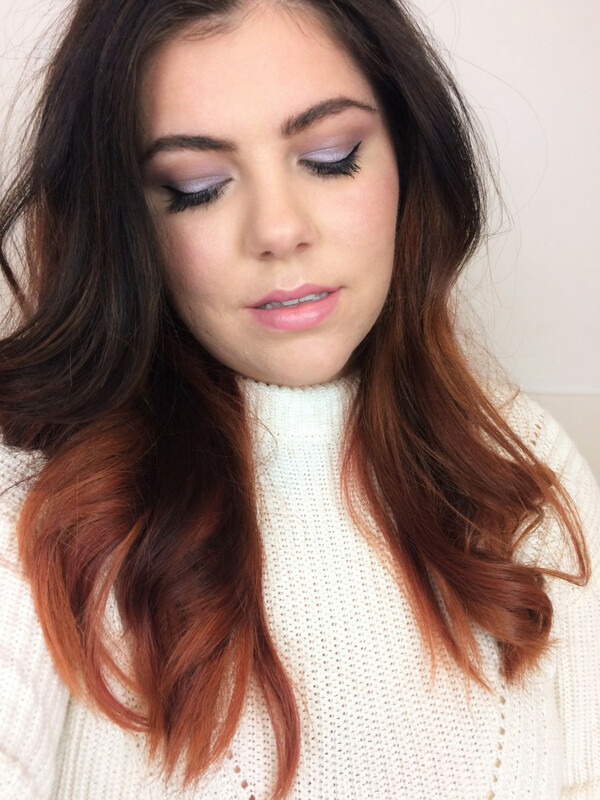 Whether I do a grand wing or a baby wing, there will 95% be a winged look whenever I do my own makeup. I have never tried KVD’s liner, but I definitely will make that a product to try. I use her lipstick and just love her. Heard alot about this liner but never use it. I don’t know that this is not matte as I like matte ones. Thanks for the review. Oooo this is one I haven’t tried yet but would love to! I have been using Stila for years but I’m always down for trying out another brand. 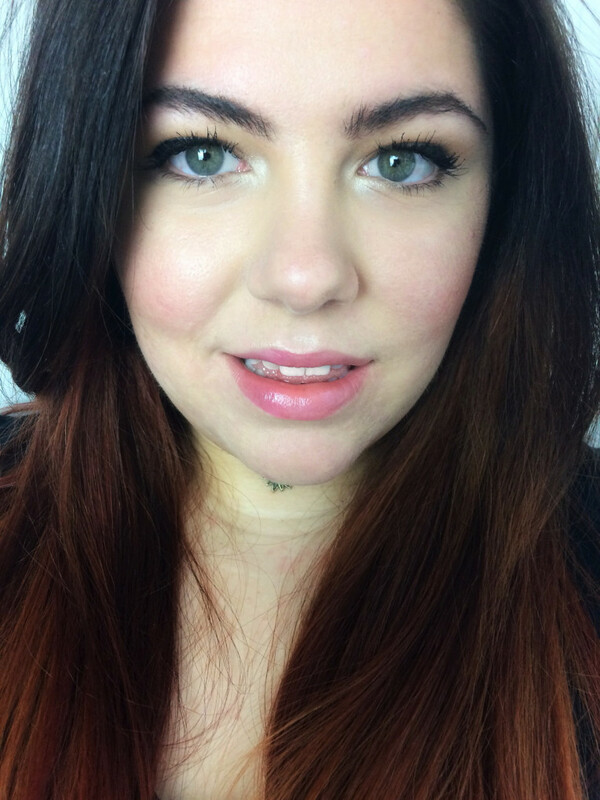 This line has great pigment! Nice results in your pics! 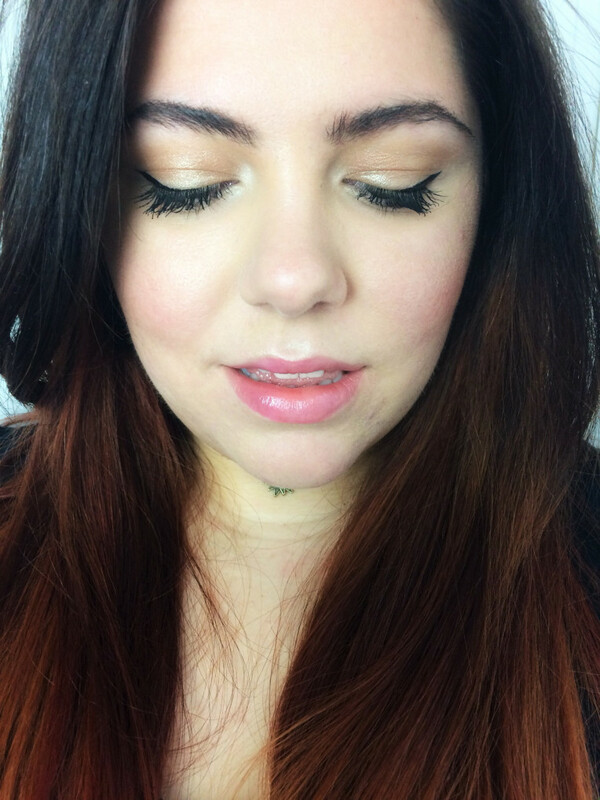 This eyeliner is my holy grail! I used to use the Stila eyeliner, but after trying this one I never went back. I am always looking for a good eyeliner!! Thanks for sharing your review. Thanks for sharing how long it takes to dry out! It’s a big let down to open up a product and discover you can no longer use it. That liner is so pretty on you! I love how you make it look natural. Will try it out for sure!